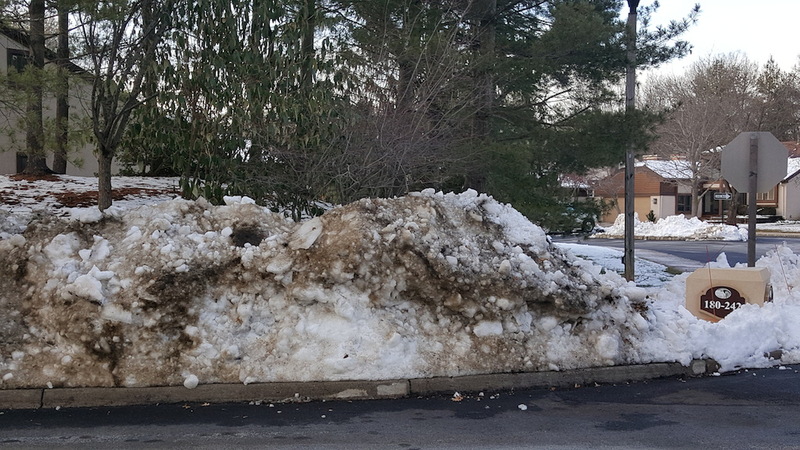 After the second snowstorm of the season, it is disheartening to see that our snow removal contractor BrightView has done more damage to the Parcel 6 corner and berm. The shrubs that were trashed in the first snowstorm were pushed back and covered with snow once again. 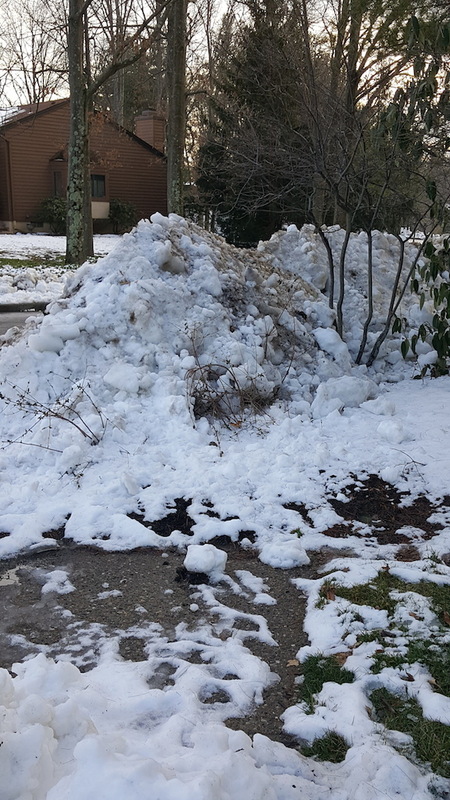 This time snow was piled high, creating a filthy wall along the front of the berm. Lower branches of the trees were pulled down and broken in the process. It's perplexing that our snow removal contractor would treat the landscape in such a harsh and damaging way when another part of their own company is responsible for its care in other seasons. What's even more discouraging is that our management company FirstService Residential hasn't done anything about it.